Is booking necessary if I want to visit the cave ? Yes, booking is necessary, indeed essential, if you want to visit the cave in July or August, during school holiday times or long Public Holiday weekends (French « jours fériés », of course). Booking is essential because visitor numbers are limited. I have a young baby with me, can I bring him/her along on the visit ? We welcome children of all ages with pleasure. For a young baby, do make sure they have warm clothing (the cave temperature is a constant 12°C.) and bring a baby-carrier. If you forget, we can lend you one (please ask at the entrance to the cave.) Pushchairs are not allowed in the cave. Please be aware : a noisy baby in the cave can spoil the visit for other people. A baby-changing mat is available in the toilet facility of the museum. I have my dog with me. Can I visit the cave with the dog ? Animals are not allowed inside the cave, nor in the museum. You can leave your animal in your vehicle during the visit. Be careful : if it is hot, choose a parking place in the shade. There is an outside tap near the cave entrance to supply water for your animal if it is thirsty. I have difficulty walking, can I visit the cave ? That entirely depends on your level of mobility. Details of the visit itinerary can be found on this page along with our advice. Persons with mobility problems. Can you take photos during the cave visit ? Alas, this is not possible. To ensure conservation of the cave, all photography and video filming, with or without flash, is completely forbidden. 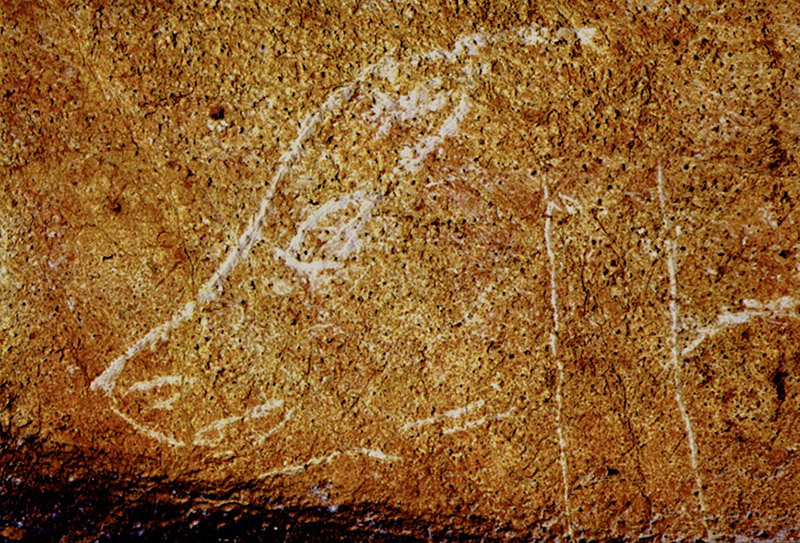 The main paintings from the cave are reproduced in the Prehistory Museum : here, you can photograph them as much as you wish. Why does the Pech Merle Cave remain open to the public ? Because the cave is in good condition, and so are the paintings.This is the result of a whole range of factors. Firstly, precautions were taken right at the beginning : the artificial entrance created in 1923 was closed off and protective measures for the paintings were put in place. After being opened to the public, the cave was never visited by large numbers of tourists. Since 1985, visits have been limited to 700 people per day, in groups of 25 persons maximum, visits lasting 50 minutes. An essential conservation factor is the nature of the Pech Merle cave itself : it is vast, with more than 1.5 kms of galleries. This volume generates a thermic inertia which enables it to absorb variations in temperature, including those generated by visits. How do we protect the paintings ? Conservation of the art works is closely linked to the state of the rock walls, which can easily deteriorate (drying out, being washed by a flow of water or being covered by calcite.) The cave wall is also the point of contact between the air in the cave and the rock itself, a zone which is sensitive to disturbance (condensation, development of mosses….) Therefore, preserving the paintings means protecting the rock walls by maintaining a natural climate and by protecting the subterranean environment. How is the cave kept under observation ? Since the 1990’s, environmental surveillance has been maintained under the aegis of the the Ministry of Culture. The captors set up in the cavern where the paintings are to be found continuously measure the temperature of the air and of the rock wall, the humidity level and the concentration of carbon dioxide. This surveillance enables us to ensure that the tolerance levels for the stability of the rock walls are respected and also provides data to help us better understand the cave’s natural regulation mechanisms. What does Pech Merle mean? Pech come from the local language Occitan, and means a hill. It can be a place name or a personal name, and many variants of the spelling exist. Merle may also mean hill or high place and come from an older language, such as that spoken by the Gauls who preceded the Romans, or an even more ancient tongue. Who owns the cave ? 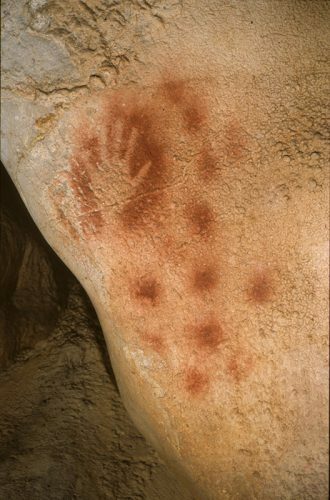 The commune of Cabrerets has owned the cave since 1950 and also owns the Prehistory Museum located on the same site. The Cabrerets local council also manages the the Pech Merle Prehistory Centre, cave and museum. 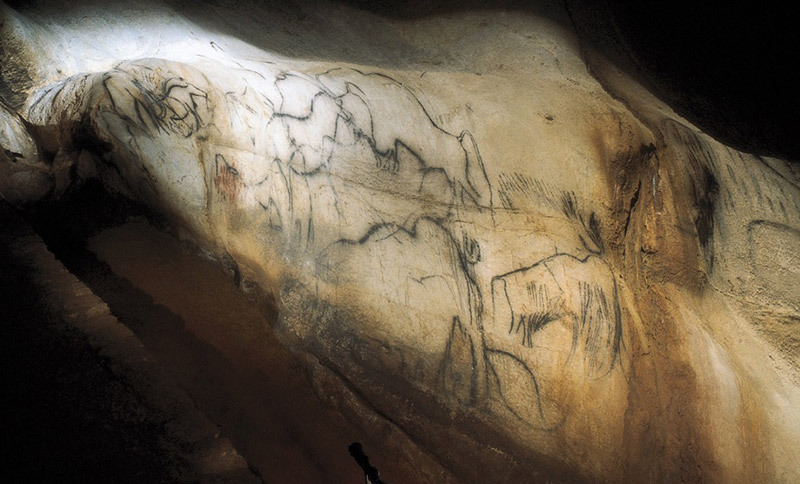 What became of the children who discovered the paintings in the cave ? André David, Marthe’s brother, aged 16 at the time of the discovery, stayed in Cabrerets. 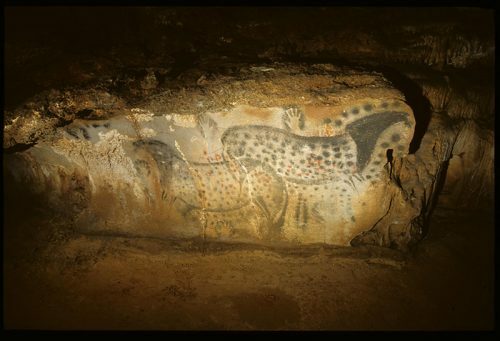 First of all, he accompanied and helped Amédée Lemozi in recording the paintings in the cave, then, after it was opened to the public (1926) he became a guide to Pech Merle and remained a guide for the rest of his life. He died in 1970. When you visit the Pech Merle Prehistory Centre, just one ticket gives you access to both the Cave and the Amédée Lemozi Museum. Once here, you can organise your visit around your cave visit time to suit yourself.